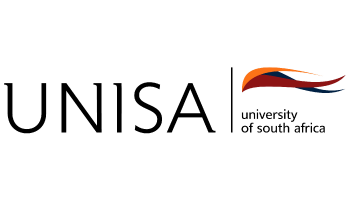 Unisa is aware that the National Student Financial Aid Scheme (NSFAS) can only stretch so far and the institution has supplemented this funding with an additional R125 million in 2014. This is in line with the university’s strong commitment to providing quality education and creating financial ease and opportunities. Nonhlanhla Mabuza, Deputy Director of Student Funding at Unisa, points out that this funding is prioritised for returning students who were funded during 2013. “No separate application procedure needs to be followed as this fund was awarded to returning students who had reapplied for NFSAS following the 2014 process,” she says. Despite Unisa no longer disbursing or managing NSFAS funding, the university is paying attention to the concerns and issues raised by students about service experiences with these processes. Additional funding has been made available and student queries will be forwarded to the aid scheme. Unisa students applying for NSFAS funding must be aware that, as of this year, NSFAS has a centralised application system (CAS) and allocation process. This means that Unisa’s Directorate of Student Funding will only facilitate the submission of application forms and assist students with the process of applying for funding. CAS will make it easier for the bursary scheme to recoup loan funds awarded to students, and, at the same time, ensure that there are no duplicate loan applications (in case of applications to various institutions for studies). The university completely understands that financing issues related to studies can impinge on students’ wellbeing and academic participation at Unisa. “As Unisa is forming part of the pilot phase of CAS, we are in the unique position of being able to highlight shortcomings and challenges experienced to impact possible future improvements. As such Unisa has already engaged both NSFAS and the Department of Higher Education and Training on these challenges and the consequences thereof for our student’s academic wellbeing. Unisa has dedicated counters specifically to assist students with funding queries, and all these queries are forwarded to NSFAS to obtain solutions and assistance for students,” explains Mabuza. She says that the university is also engaging with NSFAS on the non-payment problems experienced by students. All successful applicants have received their 2014 NSFAS loans and the additional R125 million from Unisa has also been implemented. Have a central process for students to apply for NSFAS loans and bursaries. Students will be able to apply directly to NSFAS online and NSFAS will inform students on the progress of their applications by SMS and email. Have a new system to answer students’ questions and to provide information about loans and bursaries. This new NSFAS student-centred system will be in place by the end of 2013, and will be implemented for all universities and FET colleges by 2016. In the new system NSFAS will continue to pay tuition and residence fees directly to each university or college. Allowances for private accommodation, food, books and transport will be paid directly to students by NSFAS.